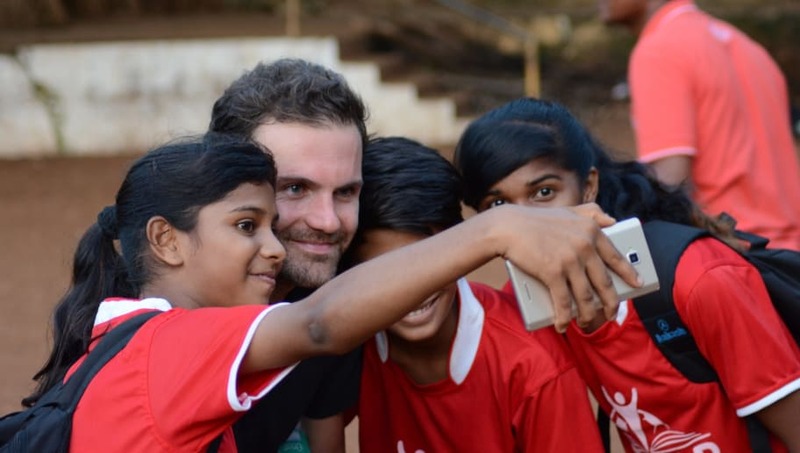 ​Manchester United midfielder Juan Mata is looking to help begin a new era of social impact in football as the first member of the Common Goal project, an initiative that will see players pledge 1% of their salaries to a collective fund that supports football charities around the world. Award winning NGO streetfootballworld, a supporter of more than 120 football charities around the world, is behind Common Goal - common-goal.org - and it is hoped that Mata will be able to assemble a 'Starting XI' of like-minded players also willing to make the 1% pledge. "What we're trying to do is define a shared social agenda for football," explains Mata. "Common Goal goes beyond individual brands and egos to deliver a greater impact. By making the pledge, we can form a lasting connection between football as a business and football as a tool for social change." Ultimately, the long-term vision of Common Goal is to unlock 1% of the entire football industry's revenues - even just conservatively believed to be worth around $30bn per year - to help fund grassroots charities that use football to strengthen communities. Recognised by the likes of Laureus, UEFA and the World Economic Forum, streetfootballworld was established in 2002. The 120 charities it supports are based in 80 countries worldwide and impact the daily lives of some 2.3m disadvantaged young people around the globe. During the summer, Mata took a trip to the slums of Mumbai in India. "One of the first lessons I learned in football is that it takes a team to win a game" he says. "We live by this mantra on the pitch, yet we rarely see it play out in the social impact space, which is dominated by individual initiatives. Through Common Goal we're creating a collaborative way for football to give back to society. I urge my fellow players to get involved." Streetfootballworld CEO Jürgen Griesbeck explains, "Players are a great place to start because they're the stars of the show. But this is the first step of a giant global endeavour. "Imagine the entire industry uniting in the name of social change. Together we can usher in a new era for football and forge a deeper sense of purpose at the heart of the game." Asked when he first made the decision to start giving back, Mata says, "It's something that I have always felt since I started playing football. It's not just now that I feel it, it's always been in my family - my sister gives back a lot to the community, so it is something we grew up with. "I was thinking for a few years to start my own Foundation and I asked people who've had Foundations for a long time and I was almost about to start one when I met streetfootballworld. "I thought that it could be a more efficient way for me to do what I had wanted to do, so that's why [myself and streetfootballworld] joined forces. "[streetfootballworld] has been doing it for a long time in the football world in so many countries, so you have that spirit, the connections, and worldwide structure, that, for me, is the most efficient way to try to do it because you can help so many people."